After a bustling first two days of extensive research and field investigation in Singapore, our third day was devoted to summarizing our findings and reflecting on the interactions we had shared with various government agencies, academics and locals. As we started to work more specifically in our interdisciplinary groups for the first time, it was interesting to see how our different academic backgrounds and skills came into confluence to enable difficult issues to be solved through multiple angles and frames of thinking. Far from creating technical barriers, working with group members of different knowledge bases helped me greatly in beginning to understand the intricate social and economic factors that dictate Singapore’s strong public housing policies. As we moved into the afternoon, we were given an eye-opening discussion of housing issues within an Asian and Australian context from Dr. Peter Armstrong, an architect, academic and expert on urban planning. Interesting points were raised surrounding the transformation and adaptability of housing policies amidst migrant preferences and multigenerational trends, and parallels were drawn between Singapore and other major Asia-Pacific cities such as Tokyo, Seoul and Sydney. Peter’s presentation was followed by group presentations on our preliminary findings into housing in Singapore’s different regions and by the end of the afternoon, I found myself struck at how important housing and urban design policies really were to the successful growth of a city. 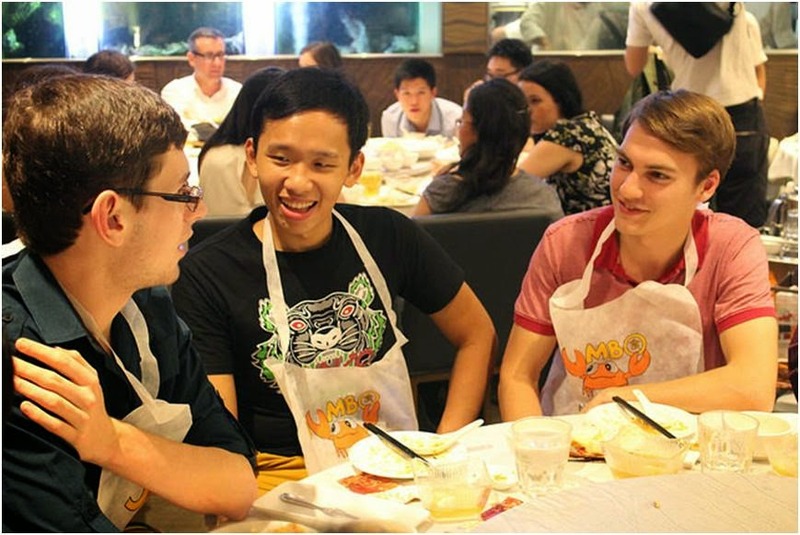 After an intense day of thinking and learning, we visited a seafood restaurant for dinner where we were joined by Singaporean students who shared with us amazing insights into their life and thoughts on Singapore and Australia. As we talked, laughed and bantered late into the night over crab claws and expensive alcohol, it was amazing to realize how different some aspects of their life were (such as their mandatory 2-year service in the military), yet how similar some of their values and beliefs were to us as young adults. As I write this post after a wonderful night with complete strangers, I feel amazed at how globally connected our world has become and feel excited to continue learning about Singapore knowing that it will benefit both my professional and personal development.